From a core of classic items we adapt with seasonal updates, explore current trends moving more towards cutting edge fashion. Frances Orzechowski is an independent South African clothing designer with three Indalo stores on the Garden Route - Indalo at Old Nick Village, Plettenberg Bay, Indalo Waterfront at Knysna Quays and Indalo Living, Homewear and Clothing store in The Rex Hotel , Grey Street , Knysna . She designs and makes women’s leisure wear. You are a fashion designer by profession, what made you decide to open your own shops? Opening our own shops was a logical step that followed the launch of our own ranges. Was there an underlying ethos behind this decision? Yes, the aim was to create a store selling only South African designed and manufactured products. We are all aware of the difficulties in the South African textile industry. How have you risen to this challenge? There is certainly a backlash against mass market foreign production. We have tapped into a niche market by offering individuality and quality and an awareness that locally made stimulates our economy. I love the classic simplicity in the range and the accessibility of the display. Do you have an underlining strategy in the way you design your range of clothing? Our clothes are classic/casual. 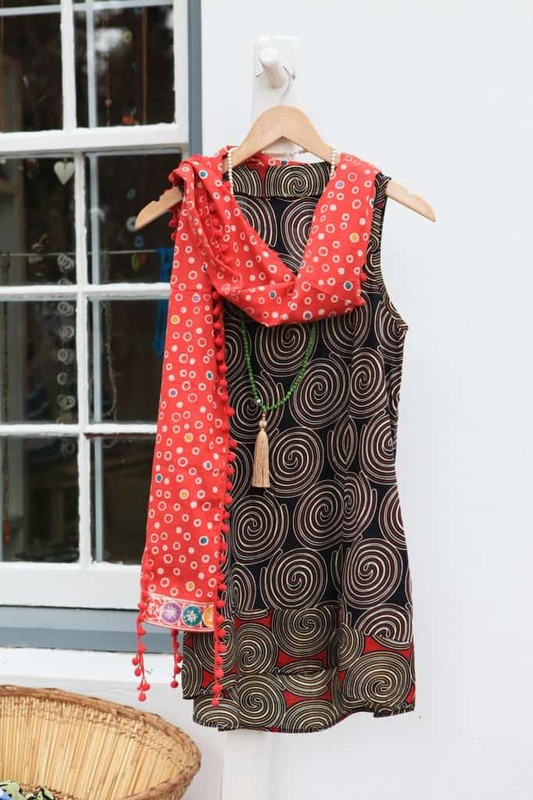 They are easy to wear and are specifically designed to mix and match, so colour co-ordination plays a strong role in our decisions. 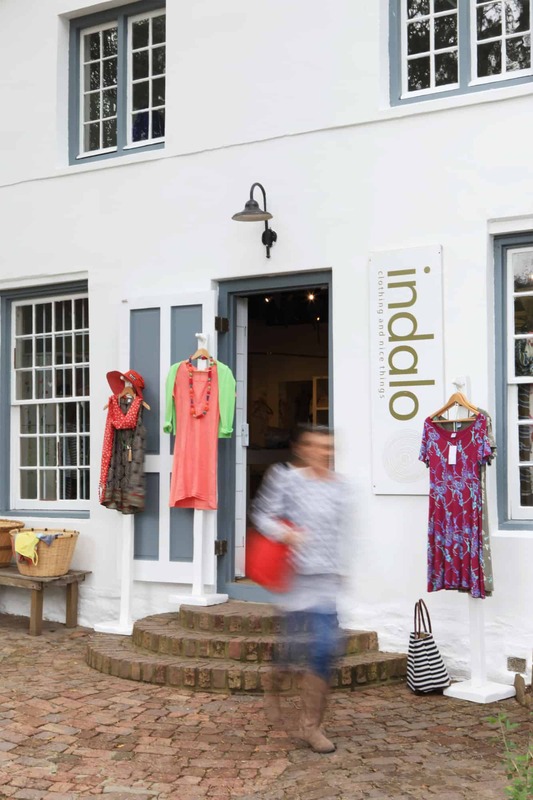 Why do you call your shops Indalo? 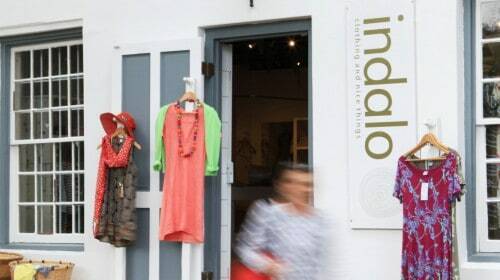 Indalo means ‘from the earth’ or ‘from Nature’. It’s all about relationships, the way we put together our ranges, our colours and even the décor, this echos the interrelated systems of nature. What inspires your design work and how do you stay current? From a core of classic items we adapt with seasonal updates, explore current trends moving more towards cutting edge fashion. We use natural fabrics , often organic and always made locally . We accessed soft linens, cottons and viscose knits which have been washed and dyed to make our clothes immediately wearable . What makes your product range special? 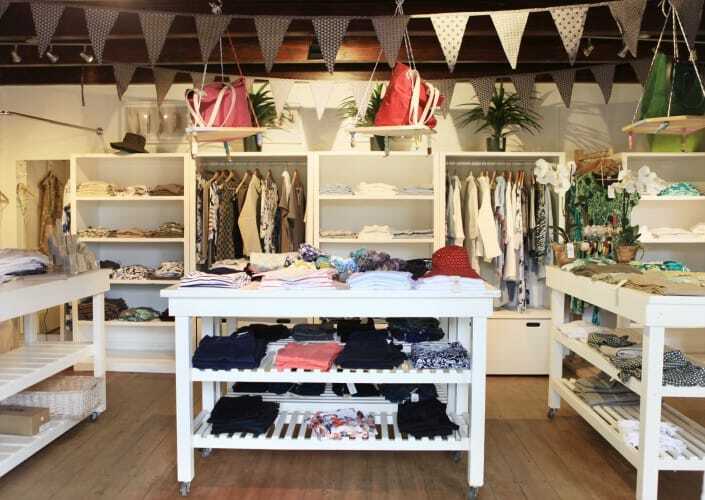 We source a carefully selected range of bags, hats, shoes and jewelry from suppliers in the area. 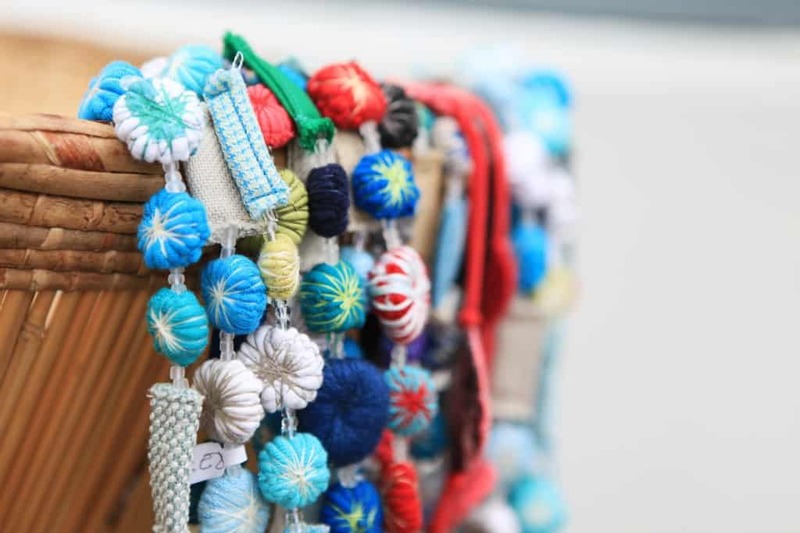 These create accent, which adds individuality and recognizable character. Garden Route shopping, because of its seasonality in general, needs to cater to a cross section of both local and foreign buyers. Foreigners are attracted to our locally made natural fabrics and linen ranges commenting on the fair prices and great quality. Local buyers love the individuality that our look affords. 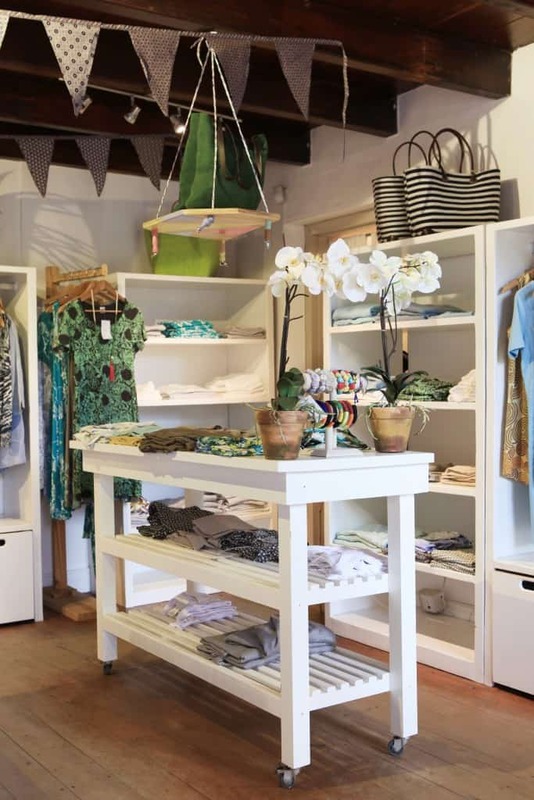 How do you envisage the growth of your shop? We are constantly updating the range. The on going request for Menswear is a call that we need to heed. This means enlarging our spaces and growing to accommodate the demand.